David Lappartient, who was elected head of the UCI in September last year, was responding to the fact that Britain’s five-time Olympic gold medallist Wiggins has included Armstrong in a book about the most influential figures in his life. The excerpt compliments Armstrong’s character and sporting exploits. Wiggins said at the Rouleur Classic in London this week that he still speaks to the American who was stripped of seven Tour de France titles in 2012 and banned for life by the US Anti-Doping Agency after orchestrating a doping scheme. 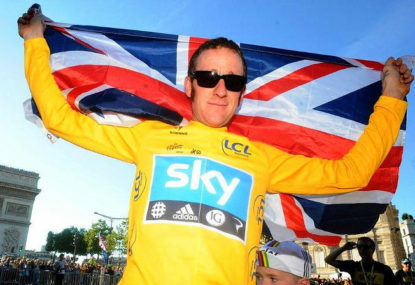 Wiggins did say he did not condone Armstrong’s behaviour. However, his inclusion as a cycling ‘icon’ did not sit well with Lappartient. “Bradley Wiggins is Bradley Wiggins so he says some strange things sometimes,” the Frenchman told reporters in London on Friday. “But, when I saw that I thought it was unbelievable, that the guy who won the Tour de France, has been an Olympic champion, has been a world champion and he is (now) supporting Lance Armstrong that has been banned for life for cheating. Speaking on stage at the Rouleur Classic on Thursday Wiggins said of Armstrong: “He’s a tough character. I know him quite well. I still speak to him – sorry about that – but I can’t change it,” he said. Cycling was tainted when Armstrong, who had long denied using performance-enhancing drugs, admitted to doping in January 2013. The UCI has been trying to mend the sport’s reputation ever since and Lappartient said cycling was now “leading the bunch” in the fight against doping.